Today I will run with the Black Keys in my ears. I can’t get enough of them right now. I’ve always liked them, but these days I begin every genius playlist on itunes with either She Said, She Said, Everlasting Light, Next Girl, or Little Black Submarines. I can’t get enough of the crunchy blues guitar, of Auerbach’s voice, of the great lyrics, of the fact that two guys are putting out all of this sound. I hope this listening season in life lasts awhile. But I know that I’ll be obsessed about some other artist or sound soon enough. When I was a kid, it was Chicago. The early Chicago. Terry Kath, Chicago. I played the trumpet, so I liked the combination of horns with rock and roll. Of course, when Peter Cetera took over the band things were different. So, I moved on. In college, I went on this really big Dan Fogelberg binge. I discovered him in the dorms at Columbia Christian College, saw him in concert at the Paramount theater in downtown Portland and had to buy all his albums. Souvenirs, Netherlands, Home Free, Twin Sons. Wore those albums out. But he lost me somewhere around “Leader of the Band.” It got too sappy in there somewhere. I lost music for awhile. Life was too overwhelming, I think. I still listened, but mostly to old stuff that I already knew. Jakob Dylan got me back in the game, or at least the Wallflowers did. I like his stuff. Great lyrics. Great voice. He was my door back into the world of new music. Now the obsessions are more frequent and shorter lived: Ben Harper, U2, Wilco, Sarah McLachlan, Brandi Carlile, Dave Matthews Band, Lucinda Williams, Spoon. (Notice Bob Dylan is not really in there. Mine is more of a literary relationship with Bob. Though I regularly listen to him, its never been an obsessive kind of thing). I’m sure someone could psychoanalyze all of this, tie my musical interests to what I’m going through in life. I could do a little of that myself. But I think this a more elemental dynamic than my psychic state. I think I just get tired of certain things, wear them out a little, and an appetite emerges for something different. And right now, its the Black Keys. I hope this one lasts awhile. This entry was posted in Music and tagged Black Keys, Bob Dylan, Bradni Carlile, brandi carlile, Chicago, Dan Fogelberg, Dave Matthews Band, Jakob Dylan, music, Spoon, Wilco. Bookmark the permalink. 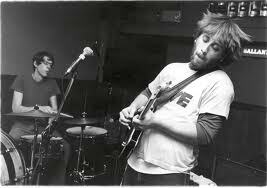 I share your current obsession with the Black Keys. I just can’t get enough. Arcade Fire has also been an obsession for a while. I’ll have to try them out. Right now my play-list is mostly Adele (21), Tony Bennet (Duets) and Hugh Laurie (Let Them Talk.) That’ll give the shrinks a lot to analyze. What about The Band, it’s hard to wear them out. Eliot, never got hooked on the band. Had a semi-hooked stint with the band-like Hold Steady.